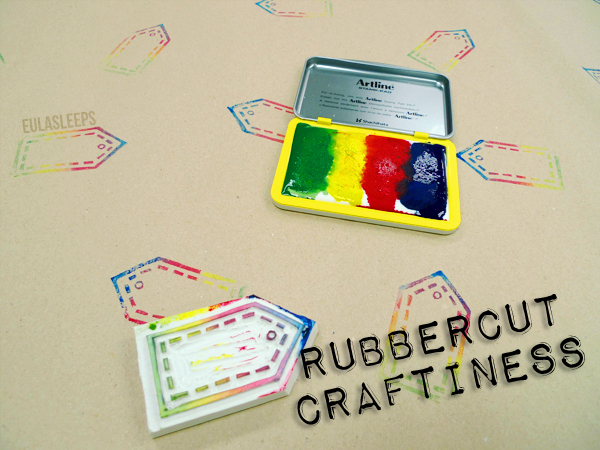 A few weeks ago I was at the 2nd Rubbercut Crafternoon headed by Mansy and Alessa. 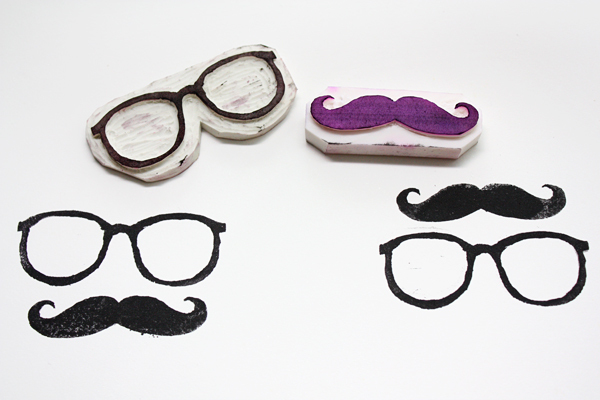 We were to make rubber stamps for holiday gift wrapping paper, but a lot of us made non-theme stamps as well. As you will see in this post, the crafternoon triggered somewhat of an addiction to rubbercutting. 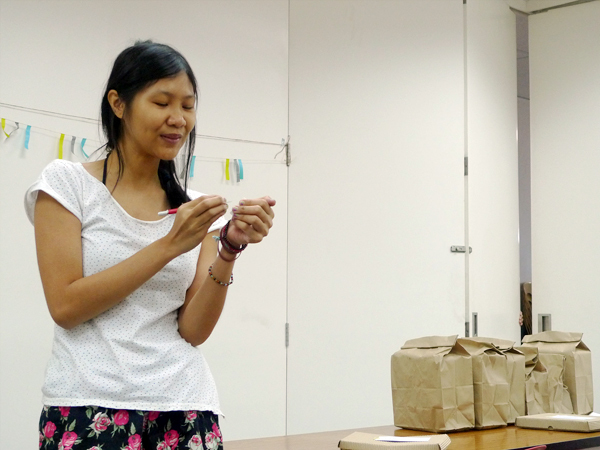 Mansy and Alessa started with an intro on the types of rubber used. We were given rubber erasers to work on. 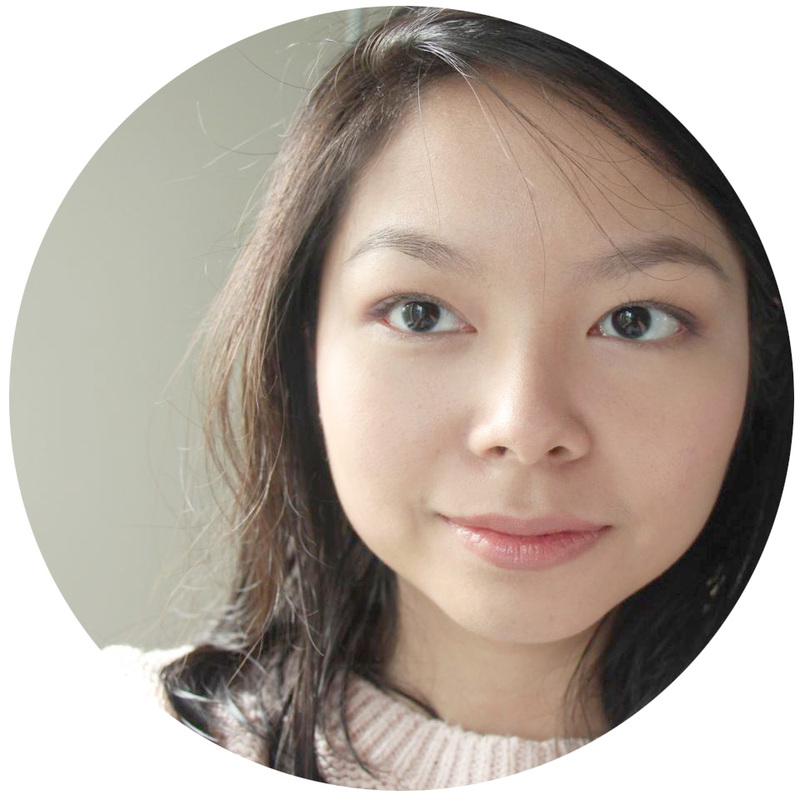 Each of them had their own technique for rubbercutting; it's not a strict discipline. 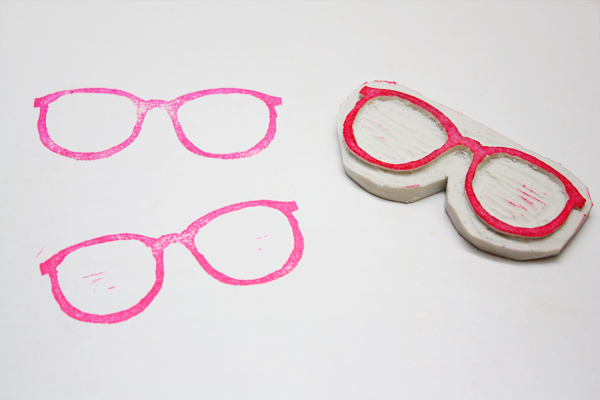 You can use rubber cutters, wood cutters, an X-acto knife, or a regular blade. As long as it gets the job done! 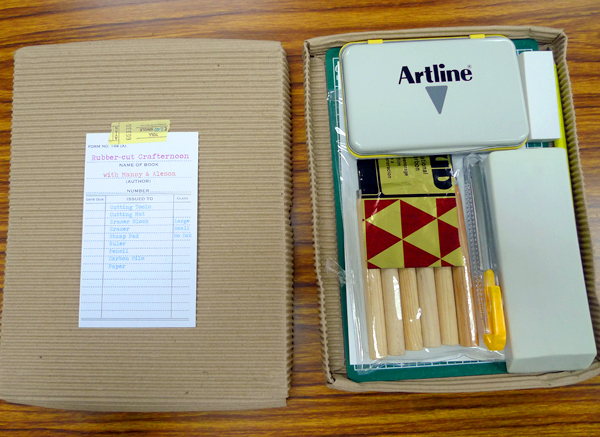 Cute packaging for our materials! I love things organized neatly. 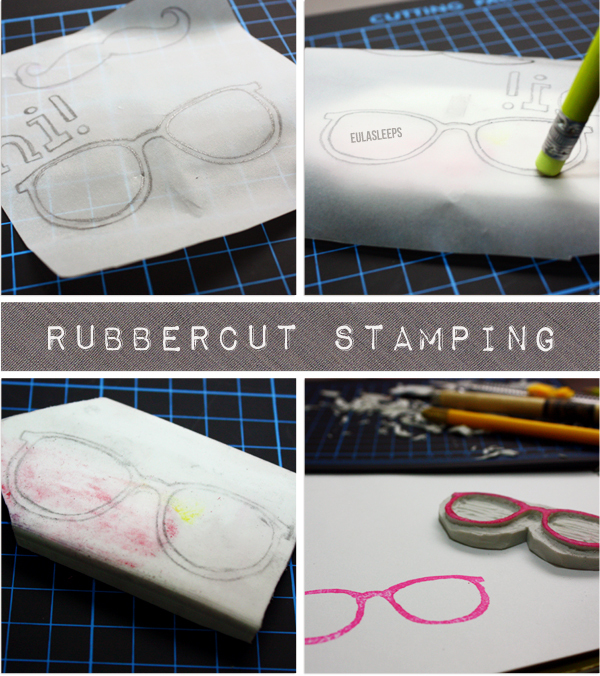 After cutting my first stamp from a giant eraser, I set to work on stamping. The stamp pad is custom-inked from diluted watercolors. I placed primary colors for simplicity. The finished product is at the top of this page. In case you can't tell, it's supposed to be a gift tag... So you don't have to keep buying tags or making gift cards. We were invited to hang our work to dry. It was a really fun afternoon, quiet at first because everyone was busy carving, but then came "oohs" and "ahhs" when we wandered around looking at each other's stamps. That was my favorite part, seeing what fellow crafters made and asking them about their techniques. 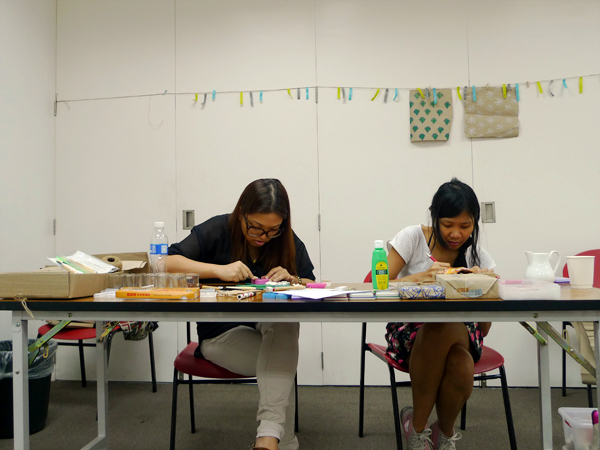 That's the true spirit of a crafternoon I suppose! The past few days, I've been trying out other methods and materials for stamping. (I was somewhat limited by the size of the erasers I could find in the supply store; couldn't find giant ones like those given in the workshop.) Below are the methods that work best for me. Place the tracing paper drawing-side down on the eraser. Rub the outline to transfer to lead. 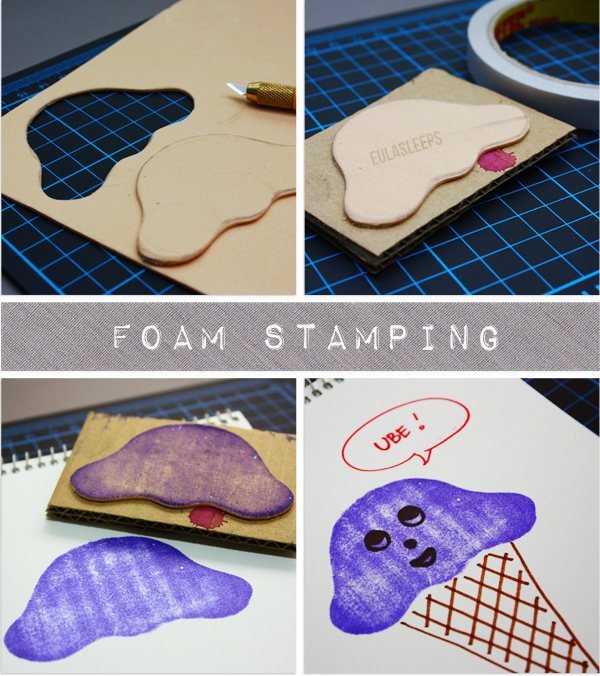 Cut with your weapon of choice, then stamp away! A mustache transforms them into steampunk glasses. Oh look, the mustache doubles as a toupee. HERP DERP. Layered positive and negative images. First demonstrated by Alessa. Really cool effect! 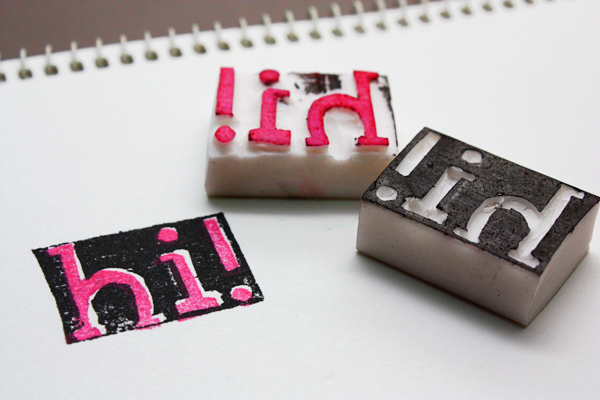 I had a lot of foam shapes in my scrapbook pile so I made them into stamps. Then I tried cutting up a large piece of foam into shapes for stamping. It...kind of worked. 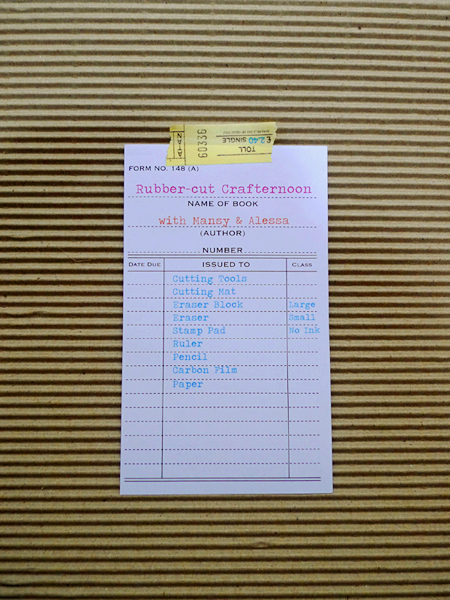 Draw your shape on a piece of foam (available in scrapbooking sections of bookstores). 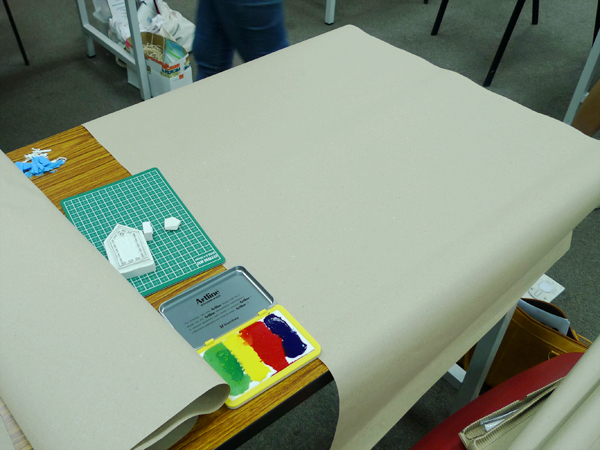 You can also use the tracing paper technique as detailed previously. Cut out the shape. 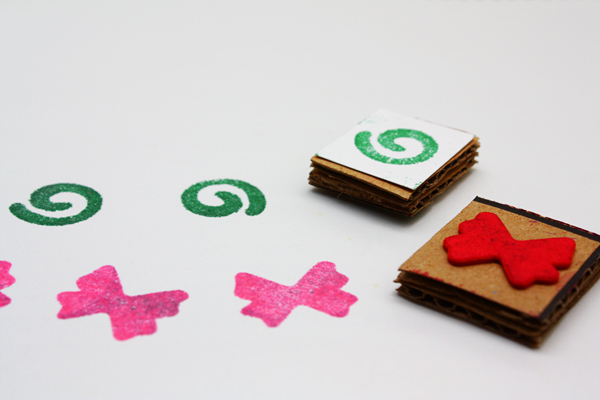 Mount the shape on two pieces of cardboard with glue or double-sided tape. I've also seen people mount foam shapes and rubber stamps on legos, bottle caps, buttons, whathaveyou. Again, as long as it works! Stamp it! As you will notice, a problem with mounting on cardboard is that the ridges translate into the stamp. Do you guys make stamps? It's super fun! No drawing skills required!